The NeuroLeadership Institute is a leading global research organization and the pioneer of bringing neuroscience into conversations, solutions and coaching. Since its inception the Institute has united the world’s foremost neuroscientists, leadership researchers, and organizational practitioners with the purpose of transforming how we think, develop, and perform. 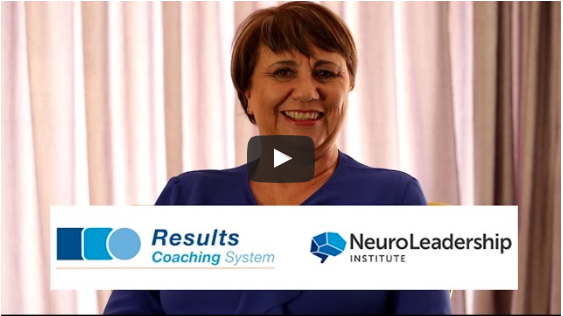 Results Coaching System™ is the flagship Educational Program of the Neuroleadership Institute. The Results Coaching System™ delivers unique brain-based, process focussed and outcome-driven methodologies and frameworks that empower individuals, organisations, leaders and managers to facilitate positive change and maximise effectiveness. Results Coaching System™ is accredited by the International Coach Federation. How will understanding the brain impact you? Gain a robust understanding of the brain and the ability to leverage leadership interactions in new and effective ways. Stay on the cutting-edge with the latest research and unlock insights no one else in your field has. Whether you’re a leader, manager, change agent, coach, or consultant, NLI’s Education Programs represent the next great chapter in your developmental journey. Neuroscience creates breakthroughs and empowers individuals to tackle today's biggest talent challenges. A deep understanding of the brain and human behaviour can drive effectiveness at every level. Learn how to structure and facilitate long term engagements to effectively coach high performance individuals. Dramatically improve other people's thinking and performance by leveraging coaching models that draw from the hard science of how the brain works. Learn cutting-edge, research-based tools and skills to help you effectively coach other, in any situation. Become solutions orientated, process focussed and outcome driven. Our intellectual property is among the most innovative, cutting-edge and value-added content on the market and – based on our rapid growth – our clients agree. “To think that I almost didn’t sign up for the course…what was I thinking of?! Fantastic course which is designed to efficiently and effectively equip you as a confident coach. This is an amazing course where you walk away with much more than you anticipated. It is not only a training course but a personal development journey. Really an amazing experience!! I loved the professionalism and high standard of excellence. I was moved from concious incompetence to consious competence ready to grow as coach. I am ready to start a practise. Thank you for a positive life changing experience and skill building! This course exceeded my expectations! Thorough training and I can understand why Results coaches are sought after. I had a life changing experience- it's a given! It's not just in the content of this course that provides one with the skills to develop themselves as a coach, but also, it's in the process of learning, the stretching of oneself in processing and applying practically what is in the course material - it is an intensive course, but there is constant support throughout. at the end I feel that I have accomplished something really big! I feel that I have been initiated into the coaching world, and that interprets into confidence in taking someone through a coaching process. I am a very proud Results coach. RCS is the best coaching I have ever attended, it is practical in nature and result focus. It prepares you to be a sought after coach if you persever to the end. I found the training absolutely amazing in preparing me to start my coaching practice. I enjoyed the hands on approach and the built in stretch for coaches in training. I am looking forward to taking on my first delta clients and taking the world by storm with coaching.